The spirit is never idle. For in extremis, things reveal their nature and become visible. Whatever lives is fire, because heat Is life, but cold the occasion of death. All things are poison, and nothing is without poison, the dosage alone makes it so a thing is not a poison. The patient who pins his hope on the medicament is not a Christian; but he who puts his hope in God is a Christian. God is the master who measures the disease and the stars. He has orderd everything according to His wisdom; who can fathom it ? Imagination and faith can cause and remove diseases. Confidence in the virtue of amulets is the whole secret of their efficacy. It is from faith that imagination draws its power. Anyone who believes in the secret resources of Nature receives from Nature according to his own faith ; let the object of your faith be real or imaginary, you will in an equal degree obtain the same results. If metals remain buried long enough in the earth, not only are they consumed by rust, but by long continuance they are even transmuted into natural stones, and there are a great many of these ; but this is known to few. For there is found in the earth old stone money of the heathens, printed with their different figures. These coins were originally metallic, but through the transmutation brought about by Nature, they were turned into stone. The physician must give heed to the region in which the patient lives, that is to say, to its type and peculiarities. For one country is different from another; its earth is different, as are its stones, wines, bread, meat, and everything that grows and thrives in a specific region. This means that each country, in addition to the general properties common to the whole world, also has its own specific properties. The physician should take this into account and know it, and accordingly he should also be a cosmographer and geographer, well versed in these disciplines. Medicine rests upon four pillars -philosophy, astronomy, alchemy, and ethics. The first pillar is the philosophical knowledge of earth and water; the second, astronomy, supplies its full understanding of that which is fiery and airy nature; the third is an adequate explanation of the properties of all the four elements- that is to say, of the whole cosmos- and an introduction into the art of transformations; and finally, the fourth shows the physician those virtues which must stay with him up until his death, and it should support and completee the three other pillars. From time immemorial artistic insights have been revealed to artists in their sleep and in dreams, so that at all times they ardently desired them. Then their imagination could work wonders upon wonders and invoke the shades of the philosophers, who would instruct them in their art. Today this still happens again and again, but most of what transpires is forgotten.. How often does a man say as he wakes in the morning, "I had a wonderful dream last night," and relate how Mercury or this or that philosopher appeared to him in person and taught him this or that art. But then the dream escapes him and he cannot remember it. However, anyone to whom this happens should not leave his room upon awakening, should speak to no-one, but remain alone and sober until everything comes back to him, and he recalls the dream. If we want to make a statement about a man's nature on the basis of his physiognomy, we must take everything into account; it is in his distress that a man is tested, for then his nature is revealed. For in extremis, things reveal their nature and become visible; then we can say: he is an upright man, a faithful man, he maintains his inner being... One man reveals more traits of loyalty and less of disloyalty; one man is to a large extent this, another man that. Therefore we should keep an eye on the outward characteristics which nature gives a man by shaping him in a certain way. For nature shapes the anatomy of a pear in such a way that the pear develops into a pear tree; and she creates a medlar's anatomy, in such a way that it develops into a medlar bush; and the same is true of silver and gold. Nature also forges man, now a gold man, now a silver man, now a fig man, now a bean man. Alchemy is nothing else but the set purpose, intention, and subtle endeavour to transmute the kinds of the metals from one to another. * According to this, each person, by his own mental grasp, can choose out for himself a better way and Art, and therein find truth, for the man who follows a thing up more intently does find the truth. It is highly necessary to have a correct estimation of stars and of stones, because the star is the informing spirit of all stones. For the Sol and Luna of al! the celestial stars are nothing but one stone in itself; and the terrestrial stone Ijas come forth from the celes- tial stone ; through the same fire, coals, ashes, the same expulsions and re- purgations as that celestial stone, it has been separated and brought, clear and pure in its brightness. The whole ball of the earth is only something thrown off, concrete, mixed, corrupted, ground, and again coagulated, and gradually liquefied into one mass, into a stony work, which has its seat and its rest in the mid«t of the firmamental sphere. What sense would it make or what would it benefit a physician if he discovered the origin of the diseases but could not cure or alleviate them? And since the fit manner of preparation is not to be found in pharmaceuticals, we must explore further; that is to say, we must learn from alchemy. In it we find the true cause and everything that is needed. Although Alchemy has now fallen into contempt, and is even considered a thing of the past, the physicain should not be influenced by such judgements. For many arts, such as astronomy, philosophy , and others, are also indisrepute. I am directing you, physicians, to alchemy for the preparation of the magnalia, for the production of the mysteria, for the preparation of the arcana, for the separation of the pure from the impure, to the end that you may obtain a flawless, pure remedy, God-given, perfect, and of certain efficacy, acheiving the highest degree of virtue and power. For it is not God's design that the remedies should exist for us, ready-made, boiled and salted, but that we should boil them ouselves, and it pleases Him that we boil them and learn in the process, that we train ourselves in this art and are not idle on earth, but labour in daily toil. For it is we who must pray for our daily bread, and if He grants it to us, it is only through our labour, our skill and preparation. The interpretation of dreams is a great art. Dreams are not without meaning wherever thay may come from - from fantasy, from the elements, or from other inspiration. Often one can find something supernatural in them. For the spirit is never idle. If the earth gives us an inspiration - one of her gifts - and if she confers it upon us through her spirit, then the vision has a meaning. Anyone who wants to take his dream seriously, interpret it, and be guided by it, must be endowed with "sidereal knowledge" and the light of nature, and must not engage in absurd fantasies, nor look upon his dreams from the heights of his arrogance; for in this way nothing can be done with them. Dreams must be heeded and accepted. For a great many of them come true .... The dreams which reveal the supernatural are promises and messages that God sends us directly: they are nothing but His angels, His ministering spirits, who usually appear to us when we are in a great predicament .... Of such apparations we must know how they take place and how they came to us; when we are in great need, we can obtain from them God's kindness if our prayer pours in true faith from a truthful mouth and heart. Then God sends us such a messenger who appears to us in spirit, warns us, consoles us, teaches us, and brings us His good tidings. 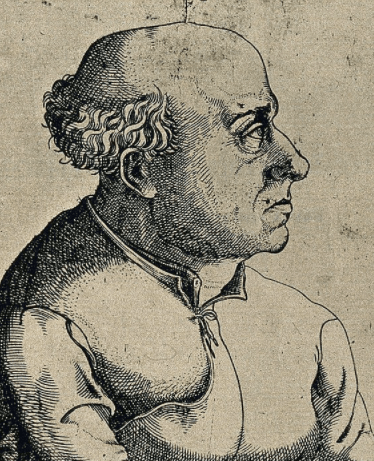 Paracelsus was a Swiss-German physician and alchemist who lived during the German Renaissance. He is best known for his contributions to medicine and the prophetic role he took in some circles.